Osteopathy is a hands-on treatment that detects, protects and treats a diverse range of health-related conditions. The treatment involves skilled manipulation and mobilisation of the spine and joints. It also consists of massage of the soft tissue. Osteopaths’ look for and remove the underlying cause of the pain rather than focusing only on the symptoms. This is vital in minimising the chances of you having a recurrence of the problem. Osteopathic care can benefit you if you have muscle and joint pain, or if you are searching to improve your posture. 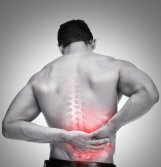 What can Osteopaths help treat? Encourages lymphatic drainage, blood flow and promotes nutritional intake to bones and joints. At Perea Clinic, your osteopath will give a clear explanation of what they find, and discuss a treatment plan that suits you the best. They often suggest lifestyle changes and self-help measures to assist recovery and to prevent reoccurrence or a worsening of the symptoms.